new paths must be found. what’s been done in the many past & lost decades has led to nothing good. Israelis are still not fully secure, & Palestinians still suffer, … greatly. balanced discussions & policies have rarely happened. one factor missing is actual factual learning of how this tragedy began. i am sick of people who can only focus on the latest stone being thrown, or whatever. WHY was that stone thrown. how many decades led to that stone being thrown. the suffering must end, but righteous people must demand it. not enough righteous people, perhaps. tragic, & disgusting. I’m not sure what the question is in all of this. If a bunch of people bought most of the houses in South Dakota away from absentee landlords and then, as new owners, evicted legitimate squatters (rightful owners), and declared it a new state apart from America, it would be obvious. You can’t just buy a nation out from under the feet of its citizens. I don’t think it should matter how many parcels Zionists bought, who won what battle, or the tactics the Palestinians who fought against them used before they lost. It shouldn’t even matter how the Palestinians have fought since. Israel is an illegitimate state. Israel is an illegitimate state. Nothing Palestine has done or will do will change that. You don’t need to look at the morality of desperate Palestinians to gauge this. Israel is a well funded ethnostate machine that will not stop building settlements where they know they should not be. Israel keeps people poor, trapped, and without means. Jews, Muslims, and Christians all lived in Palestine until the religiously intolerant state of Israel took that away. Israel, the state, must fall so, actual Israel, can be the people of God again. I’d say the view for Episcopalians should be clear, but really, it shouldn’t be just us that this is blatantly clear to. What people need a glass of water and which people want help cutting off an ear? Who are we called to serve? I will, with others, walk out of an Anti-Semitic Church that Boycotts, Divests, or Sanctions Israel. There are over 6 million Jews in Israel and just how many can we BDS and still maintain that we are holier than them? How is working towards peace and a justice that includes ALL inhabitants of Israel and Palestine anti-Semitic? Rather than a knee-jerk response, please educate yourself on the work, the issues and the desired outcomes. Given the diminishing size, limited resources and diversity of opinion in the Episcopal Church, it seems unlikely to me that anything we do will have any impact on the Israel-Palestine situation. Maybe there are better ways we could use our time. At last! At long last…an opportunity to look clearly at the injustice and suffering confronting us, to talk honestly about it, and act courageously to end it.. When the suffering ends, security will follow. When justice begins, peace will follow. God bless all who participated in these deliberations. I look forward to joining the conversation in Austin. Some years ago, my wife and I were in Jerusalem near the Dome of the Rock mosque. As it was cold, I had my arm around my wife. Suddenly, four armed men stormed down a sidewalk, from the mosque, toward us, shouting, waving their weapons. After some tense moments, one of the men with a rifle, said in broken English that we must be Americans and Christian and that we were being disrespectful to Islam. The men did not like my arm around my wife. And people wonder why peace is so elusive. It’s important to be aware of cultural norms when we’re visiting other cultures and countries. When I worked in Hebron doing human rights monitoring, hazardous accompaniment and violence reduction work, as an international and a woman, I dressed modestly but not so I was dressed as an Israeli Jewish settler woman or as a Palestinian Muslim woman – trousers (not tight-fitting), and a shirt which reached past my hips and sleeves which covered my elbows. Also we didn’t hug men in public. The Episcopal Church is the proven enemy of Israel. The Anti-Semitic BDS movement (boycott, divest and sanction) is and always will be a failure because it it ignores the truth that Israelis cannot—nothing short of total annihilation of all Jews and the de-legitimization of the sovereign country of Israel will satisfy the Palestinians, Hamas and the BDS supporters. As reflected in some comments to this article and in previous ENS articles, the efforts of various anti-Israel hate groups have but one goal: to demonize, isolate, and ultimately destroy the Jewish state through political and economic warfare. “Open debates” will not deter or even temper those who insist on the destruction of Israel. Some dissenting members may react with calls to “boycott the boycotters.” Boycotts will change the agenda of anti-Israel clergy no more than punitive boycotts will compel Israelis to surrender to Hamas. But dissenting congregants will leave the Episcopal Church over this divisive debate, along with their pledge money and bequests. That is absolutely false. Every time Episcopalians or Presbyterians speak out against the barbarism of the Israeli government, we are accused of being antisemitic. It is nothing but propaganda to hide the multitude of sins being committed by corrupt israeli officials and military. We should divest from companies which support these massive human rights violations, and make it clear that those actions are not to be tolerated. The tenor and venom of your response displays your hatred for the Jews of Israel. No condemnation of the murders and atrocities committed by Hamas and others is found in the TEC denunciations of Israel. No denunciation of the efforts by Arab States to murder millions of Israelis ever escapes the lips of BDS supporters. Under Sharia Law, unmarried fornicators are to be whipped, adulterers are to be stoned to death, and homosexuals must be executed. I choose to divest from the Episcopal Church. Thank you Mike for the courage to speak the truth. The Israeli / Palestinian conflict has been going on for over a half a century. I don’t know what the EC thinks its going to accomplish with this effort except further dividing Episcopalians as you mention. Its a total waste of time and money that would be better spent figuring out how to stop the violence in cites like Detroit, St. Louis, Baltimore and the rest. Israel is a legitimate country and is not going to go away despite the wishes of a select group of people. Israel needs security, Palestinians need to lead a life of dignity. Palestinians include Christians and supporting their just causes is not being anti-Semite or anti-Israel. The checkered relationship between Israel and Palestine is a cause for much discomfort in the Middle East and outside the Middle East. And so it is not surprising that many organizations including the Episcopal Church want to see a peaceful resolution to the ongoing conflict between Israel and Palestine. As I understand the BDS movement played a role in changing the apartheid policies of South African government. If BDS movement brings about some positive changes so be it. Israel is a legitimate state and it is not going to go away despite the wishes of a select group of people. 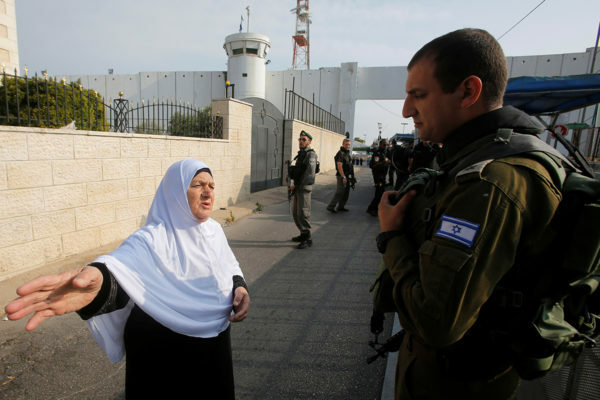 Israel needs security, Palestinians need to live in dignity. Palestinians include Christians and supporting their just cause is not being anti-Semite or anti-Israel. The ongoing conflict between Palestine and Israel very much impacts the lives of the people in the Middle East and indirectly/directly those outside Middle East. Not surprisingly many organizations including the Episcopal Church wish and are working towards a peaceful resolution. As I understand the BDS movement played a role in changing the apartheid policies of South African govt. A 2013 Executive Council Coordinating Committee report from the TEC stated “this Church does not support boycott, divestment, and economic sanctions against the state of Israel nor any application of the Church’s corporate-engagement policies toward such ends.” In 2015, the Church wisely chose to reject the demands of radical BDS advocates. •	Kiryat Shmona massacre: April 11, 1974—Israel Popular Front for the Liberation of Palestine –18 killed, 8 victims were children; 15 injured. •	Ma’alot massacre: May 14, 1974–Democratic Front for the Liberation of Palestine–29 killed, 68 injured; mostly children. •	Coastal Road massacre: March 11, 1978–near Tel Aviv Palestinian Liberation Organization–38 people were killed on bus, including 13 children. Other people were killed nearby. 71 wounded. •	Dizengoff Street bus bombing: October 19 1994–Tel Aviv, Hamas Suicide bomber blows himself up in a bus during the morning rush hour–Killing 22 people and injuring 50 others. •	Beit Lid massacre: January 22, 1995–Palestinian Islamic Jihad–23 killed, including 2 perpetrators; 69 were injured. •	Island of Peace massacre: March 13, 1997–Jordanian Army Corporal Ahmed Daqamseh opened fire on a large group of Israeli schoolgirls–19 were killed. •	Sbarro restaurant massacre: August 9, 2001—Jerusalem, Hamas killed 15 and 130 were injured; 7 victims were children. •	Dolphinarium discotheque massacre	: June 1, 2001–Tel Aviv, Hamas killed 21 and more than 100 are wounded. •	Bat Mitzvah massacre: 18 January 2002—In Hadera, the Fatah al-Aqsa Martyrs’ Brigades kill 7 and wound 33. •	Passover massacre: March 27, 2001–	In Netanya, Hamas kills 30 and 140 are injured; some victims were Holocaust survivors; considered the deadliest single attack against Israeli civilians during the Second Intifada. •	Tel-Aviv central bus station massacre: January 5, 2003—In Southern Tel Aviv, the Fatah al-Aqsa Martyrs’ Brigade kills 23 and over 100 injured. •	Mercaz HaRav massacre: March 6, 2008—In Kiryat Moshe, Jerusalem, Arab gunman, Alaa Abu Dhein kills 8 at a school; 7en victims were students. •	2014 Jerusalem synagogue massacre	: November 8, 2014–InHar Nof, Jerusalem	Uday Abu Jamal and Ghassan Abu Jamal attack against a synagogue. Four rabbis and a police officer were killed. •	June 2016 Tel Aviv shooting: June 8, 2016—At a Sarona market, Tel Aviv, Khalid al-Mahmara and Muhammad Mahmara attack restaurant guests in downtown Tel Aviv, killing four innocent civilians. In the First Intifada, a total of 160 Israelis and 2,162 Palestinians were killed, including 1,000 Palestinians killed by other Palestinians under the accusation of being collaborators. In the Second Intifada (2000–2005), it is estimated that 1,137 Israelis were killed by Palestinians. More recently, 500 Israeli civilians were killed by Palestinians from September 29, 2000, to March 31, 2012, in Israel, and another 254 Israeli civilians were killed in the Gaza Strip and the West Bank. And let us also not forget that in 1967, Palestinian Arab Christian Sirhan Sirhan assassinated (murdered) presidential candidate Robert F. Kennedy. Robert Kennedy’s crime? He had supported the sale of bombers to Israel. What are the Palestinian demands for Peace that BDS will help achieve? Current President Mahmoud Abbas and his chief negotiator Saeb Erekat continue to deny Israel’s right to exist and promote vicious hatred against Jews. The state-controlled Palestinian media routinely praises the murders committed by Palestinians. Abbas al-Sayed who perpetrated the Passover suicide attack at the Park Hotel in Netanya which killed 30 civilians was described by President Abbas as a “hero” and “symbol of the Palestinian Authority.” When Israel agreed to hand over the bodies of dead Palestinian suicide bombers (who murdered 23, including children) in a humanitarian gesture to help the peace process, the Palestinian Authority held a national rally to honor them. The Temple Mount is home to the Al-Aqsa Mosque, the third holiest site in Islam. Israelis took control of the Temple Mount as a result of the 1967 war and it remains within their sovereignty, but Israel respectfully agreed and enforce the rule that only Muslims are allowed to enter the Mosque. In September 2015, Palestinian leaders spread false rumors that the Israelis planned to change the status of the Mosque, and Palestinian Authority President Mahmoud Abbas incited the “stabbing intifada,” by stating on Palestinian television: “We welcome every drop of blood spilled in Jerusalem” and, as to the Al-Aqsa Mosque, Jews “have no right to dirty it with their filthy feet.” Innocent Jews were stabbed in the streets of Jerusalem. Hamas leaders and Palestinian President Masoud Abbas are NOT heroes in the mold of Nelson Mandela or Mahatma Gandhi. Comparisons between the religious civil war in the Middle East with Apartheid in South Africa or the British presence in India are insulting to the legacy of these true heroes of peace and non-violent protest. It is not morally just, but morally accursed, to use economic sanctions to force Israel to negotiate with Palestinian leaders who support murder and who steadfastly demand the destruction of Israel. In 2014, the Presbyterian Church USA and the United Church of Christ passed resolutions to boycott and divest from companies they decided were “complicit” in the Jewish State’s alleged misdeeds against Palestinians. In 2016, internal reports from the PCUSA forecast it would lose more than 400,000 members in the next half-a-decade. In 2015 and 2016, ECUSA membership reports showed a loss of 36,000 and 35,000 members respectively. Since the 2016 Election, the TEC leadership has contributed to a continuing loss of members with their divisive and strident partisan agenda on national political issues. By adding anti-Israel resolutions, there should be no surprise that pews continue to empty. C’mon Donna Hicks, have the guts to say that you were addressing me, Larry Waters. We were on a tour and were made aware of things that were acceptable and not acceptable. And yes we listened and adhered to all the cautions. Furthermore, this was not just a random woman that I had my arm around, it was my wife. And no I was not hugging her either. Perhaps if someone shoves a rifle in your face, you have may a little more empathy for the victim [you]. Larry, I was making a general comment, not addressing you – a reasonable thing to factor in when traveling of which all of us may not be aware. It’s good you were made aware of what and wasn’t acceptable. I have had rifles in my face and I have been caught in crossfire and teargassed and had percussion grenades tossed towards me. It’s not comfortable and it’s scary. Need to edit to ‘made aware of what was and wasn’t acceptable’ and to add that I and other colleagues have messed up on cultural norms – one thing I did recently was to eat in public around Muslims fasting during Ramadan, and that’s just rude. Larry – I used to hear about South East Asians in Middle Eastern countries being treated rudely for no rhyme or reason. I listened. Then I had my own unpleasant experience not once but three times within a week – immigration, taxi driver, and security staff at a tourist site! The receptionist at Holiday Inn sympathized and educated me a bit about the local culture.